NiCK'S SANCTUARY: ABC... Easy as 1 2 3? ABC... Easy as 1 2 3? After reading about the Church of England's decision to allow open online consultation over the appointment of the next Archbishop of Canterbury, and having read reactions from Vicky Beeching and the tongue-in-cheek folks at Ship of Fools, I felt inspired to write up my own "unique" look at some unusual alternative candidates who it might be worth considering. Who Will succeed Rowan Williams as Archbishop of Canterbury? 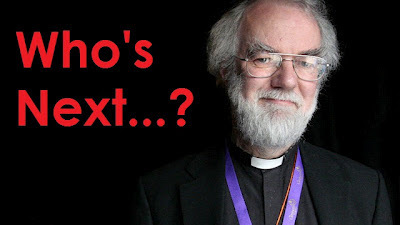 As you are probably aware, throughout his tenure as existing Archbishop of Canterbury (and possibly even prior to this), Rowan Williams picked up the affectionate nickname of Gandalf. 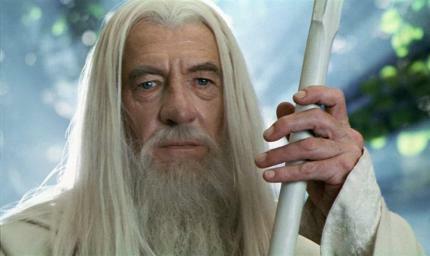 I even joked a few weeks ago that after his resignation, Rowan would return to the role as Rowan the White. However let us consider for a moment the possibility that the ACTUAL Gandalf inherited the role of Primate. Having one of Tolkien's Istari on board, would come in extremely handy. Apart from demonstrating powerful magical abilities, effective combat against the forces of evil and dispensing wisdom to the the peoples of Middle Earth, as Archbishop Gandalf would guarantee a world beating display of New Year fireworks along the Thames during his tenure. Oh and he already has a handy stick. If beards are your thing and you want an alternative to Gandalf, why not choose old Ben? 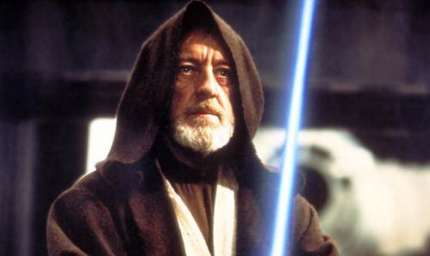 In an illustrious career only slightly marred by one pastoral failure with an apprentice (although... true, it did lead to the subsequent near extinction of his order), Ben Kenobi would be a great choice for a Church of England seeking to reach out to a generation yearning for action and purpose, that feels forgotten and trapped in a bleak environment. Furthermore if anything nasty should befall him, he'll just return with an eerie blue glow and hand out even more inspirational advice to the Anglican Communion. Perhaps an outside choice in science fiction circles, Kosh might just prove to be an important bridge between a church that is sometimes perceived as distant and disconnected from society. The Vorlons faced similar accusations (Kosh himself didn't help by implying they took no interest in the affairs of others), however to the very contrary they had a finger in every single pie and were very involved in the affairs of others. 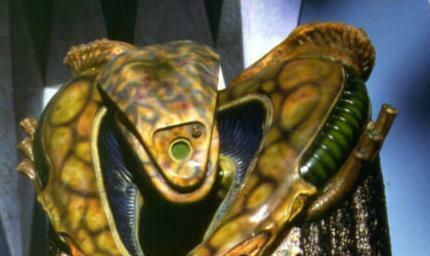 The Vorlons in general were bastions of order... but Kosh demonstrated a genuine care and compassion for the aliens he encountered that was unique. It is true that half the things he said would confuse even the best cryptic crossword solver, but you can't doubt his motives or his achievements.... and although shy and retiring... when he comes out of his shell his actions can be perceived to be angelic. However... be very wary of the guy who follows after him. 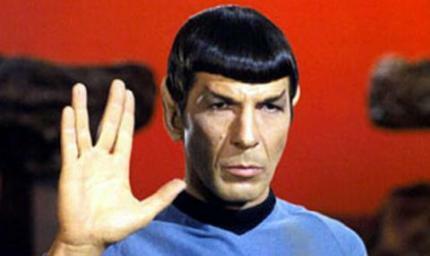 Spock would surely have to be the logical choice. Although half human and capable of emotion, his unswerving devotion to the merits of logic would ensure that personal feeling would not compromise any theological debates. Also... let's not forget that Spock himself has a certain level of insight into the meaning of great personal sacrifice and resurrection which are surely invaluable. However, it should be noted that whilst logic and theology have their place and might endear him to some traditionalists, a lack of emotion might equally isolate him from charismatics and liberals... and this should be borne in mind. "It's a mitre. I wear a mitre now. Mitres are cool!" He's defended the planet Earth from hostile forces an innumerable amount of times, he has gone face to face with demons and even the Devil himself. Having been compared to a god on several occasions, could the beloved time-travelling wild old man of the universe have a realistic role in shaping the Anglican Church of the future? It is certainly true that Christians should be like the TARDIS (living lives that are bigger on the inside than on the outside), however churches should definitely be the other way round - bigger on the outside (in the community), than on the inside (within its walls). The Doctor would probably take issue with forms of worship that didn't get congregations to think about and engage with what they believed in... he'd be very much against anything that lulled people into what he perceived as a mindless conforming pattern like the Cybermen. 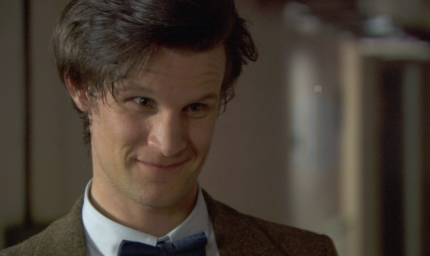 However The Doctor would be excellent at travelling across the entire length and breadth of the Church of England with his TARDIS (only missing important appointments by a couple of years every now and then), and he could offer something unique that other candidates could not - a personal pilgrimage to see events from the Bible as they happened. Some might question whether a Time Lord who is difficult to tie down in any place and time is fit for permanent office, but let's not forget he held the Presidency of the High Council of Gallifrey for a time. Who Should Be The Next Archbishop of Canterbury?